Elixir is a dynamic, functional language designed for building scalable and maintainable applications. It is a functional, concurrent, general-purpose programming language that runs on the Erlang virtual machine (BEAM). Elixir builds on top of Erlang and shares the same abstractions for building distributed, fault-tolerant applications. Elixir also provides a productive tooling and an extensible design. The latter is supported by compile-time meta-programming with macros and polymorphismvia protocols. José Valim is the creator of the Elixir programming language, an R&D project of Plataformatec. His goals were to enable higher extensibility and productivity in the Erlang VM while keeping compatibility with Erlang’s ecosystem. All Elixir code runs inside lightweight threads of execution (called processes) that are isolated and exchange information via messages. Due to their lightweight nature, it is not uncommon to have hundreds of thousands of processes running concurrently in the same machine. Isolation allows processes to be garbage collected independently, reducing system-wide pauses, and using all machine resources as efficiently as possible (vertical scaling). Elixir is used by companies such as E-MetroTel, Pinterest and Moz. 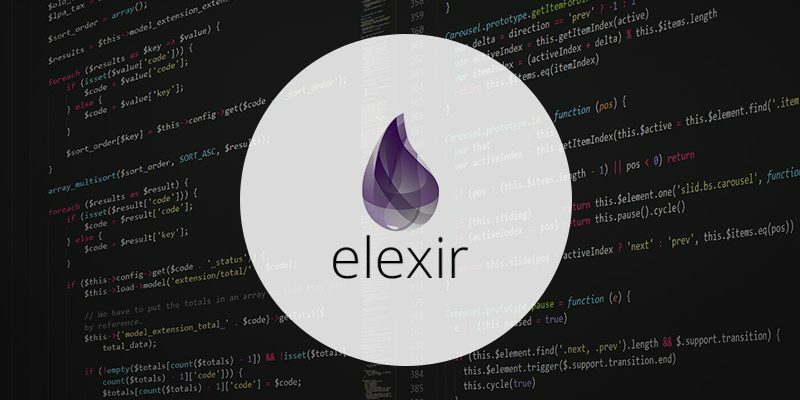 Elixir is also used for web development, by companies such as Bleacher Report, Discord, and Inverse, and for building embedded systems. The community organizes yearly events in United States, Europe and Japan as well as minor local events and conferences. Polymorphism via a mechanism called protocols. Like in Clojure, protocols provide a dynamic dispatch mechanism. However, this is not to be confused with multiple dispatch as Elixir protocols dispatch on a single type. The above is a brief about Elixir complied from various sites. Watch this space for more updates on the latest trends in Technology.